In semi-rigid, pedalo, sea kayak, paddle-board or simply on foot ... discover this jewel of the South of Corsica. A desire to go for a stroll on the water? 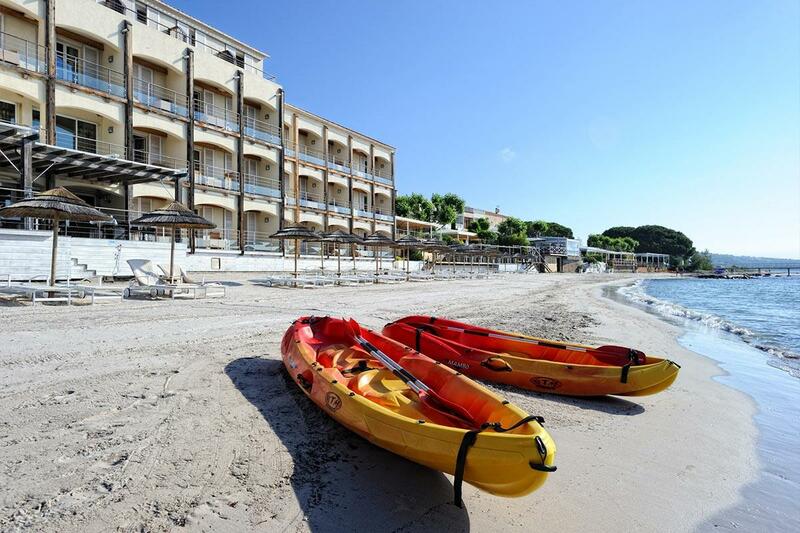 … Don’t hesitate, our kayaks are waiting for you on the beach! Fins, masks and snorkels are also at your disposal for your desires of aquatic excursions; and for the most athletic: paddle boards and H2O pedalo! 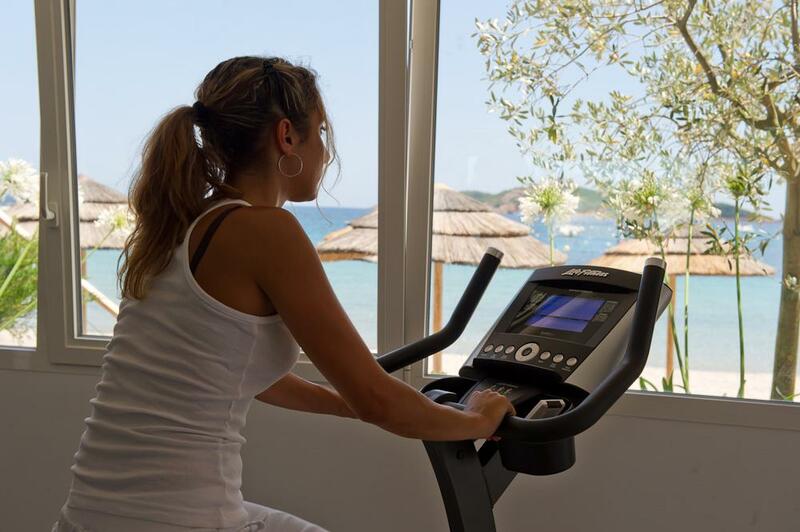 From July to the end of August, the hotel also offers a weekly aquagym session with a sports coach. For the little ones, shovels, buckets and rakes to build beautiful sandcastles, or a private swim at the beach to learn how to swim in a low water level. For marine types, the hotel offers a semi-rigid that you can rent for a half or full day (with or without skipper, do not forget to bring your boat license!). 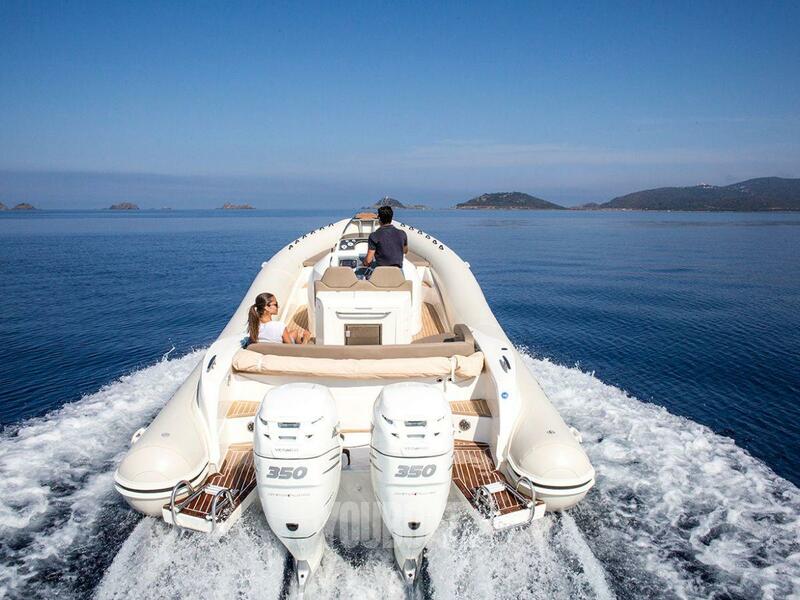 Sail aboard our Black Fin to discover the coves of Southern Corsica and let yourself be guided by the currents. In order to fully enjoy this marine getaway, do not forget to order your picnics; to enjoy on the boat at the mercy of the waves or on an isolated creek. For novices, a Quicksilver boat ‘without license needed’ is also available for rent so you can also enjoy the sea and go discovering the bay of Pinarello. 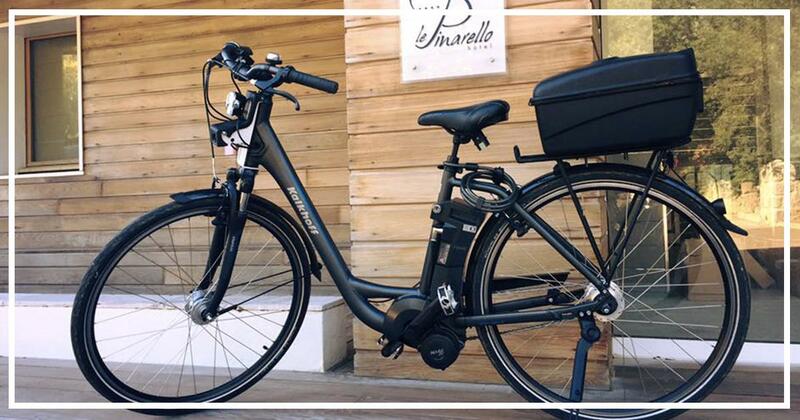 Visit the marine village of Pinarello and its surroundings quietly and easily with our electric bikes rented by the hour or by the day. Thanks to this innovation, your explorations go farther … almost effortlessly! Also enjoy private sessions with our coach who accompanies you with a personalized program. From July to the end of August, the hotel offers you a weekly yoga session on our covered terrace, facing the sea. Breathe, relax … you are at Pinarello! Want an optimal relaxation? Discover aquatic osteopathy in our rooftop pool during a private session with Jérôme AGOSTINI, Osteopath D.O.